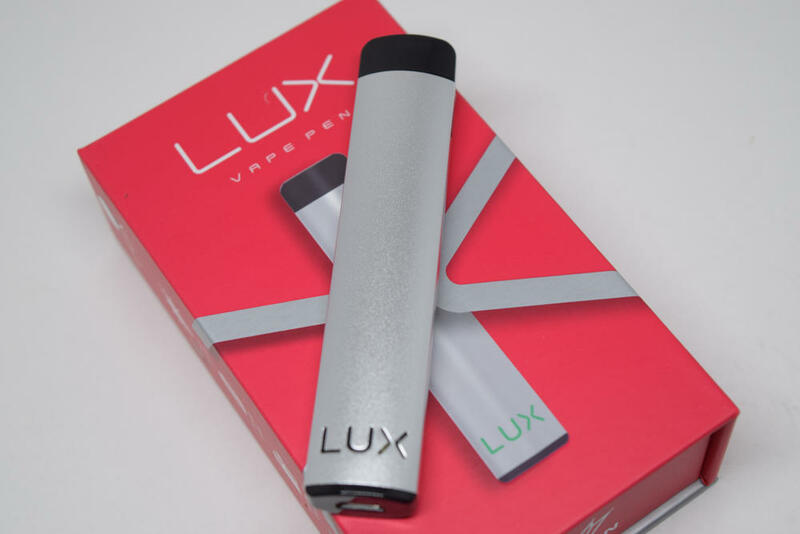 The Wellon Lux comes in a bright red cardboard box with a picture of the vape pen on the front, and a cool diagram and list of contents, as well as company information, on the back. On the side of the box, we have a bunch of icons relating to the different features of the device. Inside the box, you’ll find the Lux sitting in a plastic holder. Please note that the device doesn’t come fully assembled, so you’ll have to attach one of the two included pods for it work. You’ll find the pods and a micro-USB charger in the two smaller boxes underneath the plastic holder. There’s also a user manual in there, and if this is your first time using a pod system, I suggest you go through it. The best thing about this kit is that it includes two refillable pods, just like the Wismec Motiv 2. Unfortunately, not all companies do that, though, even though they definitely should. Two pods is a must and hopefully it becomes the norm. 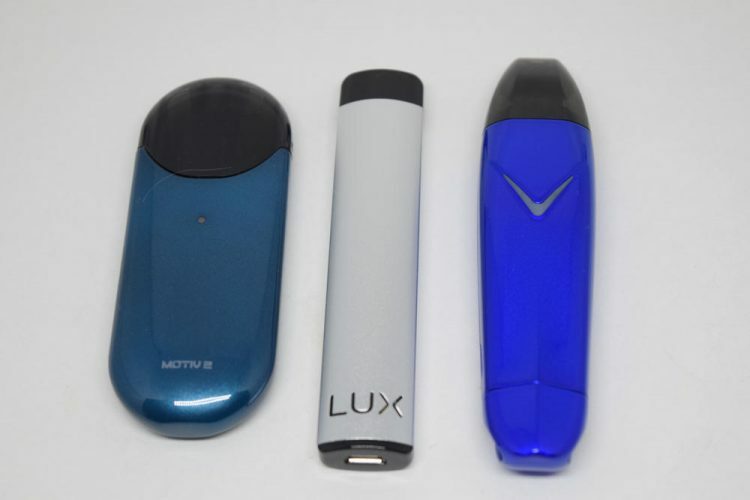 The Wellon Lux has the same USB pen design as the JUUL or the SMOK Infinix, and so many other pod systems these days. It’s a tried and true design, even though it’s not the most original. 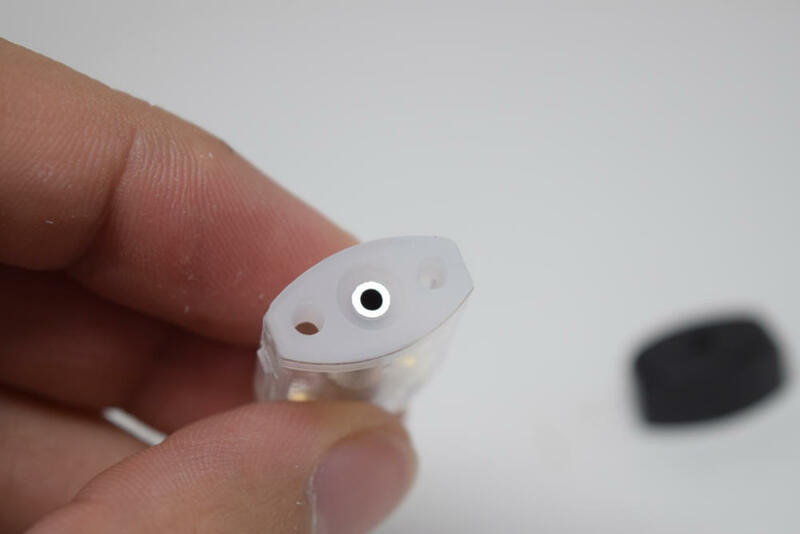 With a pod installed, it measures 95mm x 19mm x 8mm and weighs only 22 grams. I for one can’t really understand how they managed to squeeze a 450 mAh battery in such a slim body and also keep the weight down. It’s a bit suspect, to be perfectly honest, as the JUUL, for example, has only 200 mAh capacity, while the SMOK Infinix battery is rated at 250 mAh. Wellon claims that their device has almost double that capacity, which doesn’t really make sense. The Lux comes in a variety of colors, but I only got the silver and gold versions for this review. 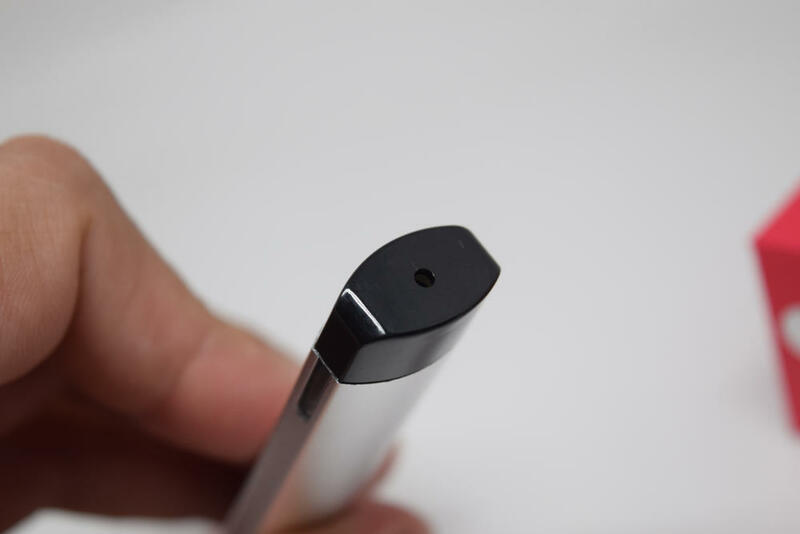 The pen body is made of an ultra-light aluminum alloy and has a matte paint finish. Overall, this vape pen has a clean, minimalistic design, with the only notable elements being the ‘LUX’ cutout near the bottom, which lights up whenever you insert a pod and when you use the device, and the micro-USB charging port on the bottom. 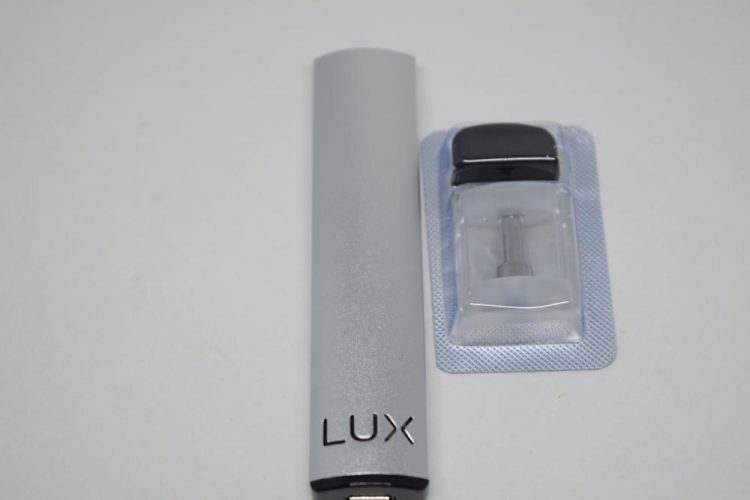 The Lux pods are very similar to those of other popular vape pens, like the JUUL or the Infinix, and comes in separate blister packs. 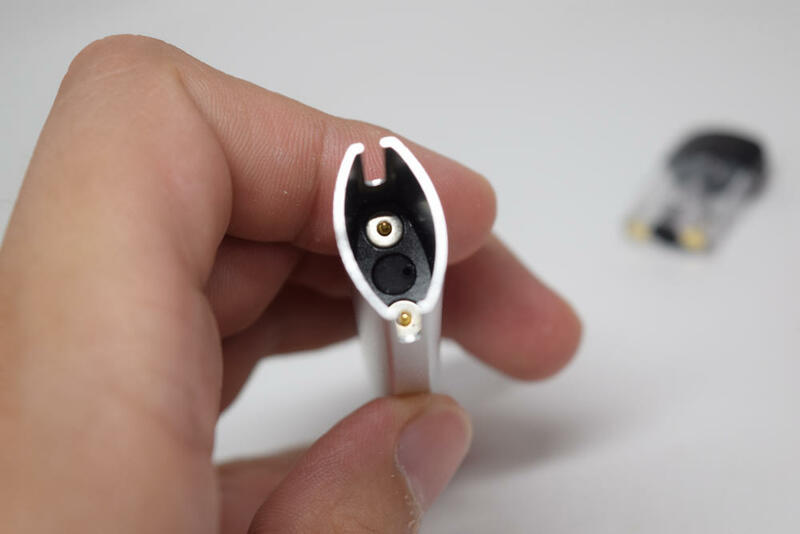 The fill ports are located at the top and are sealed off by two plugs on the inside of the plastic mouthpiece that goes over the pod. Unfortunately, the filling holes are a bit small, so you may need a syringe or one of those slim gorilla bottle needles to fill the pods without wasting juice. The pods have a capacity of 1.2 ml, which isn’t that impressive. 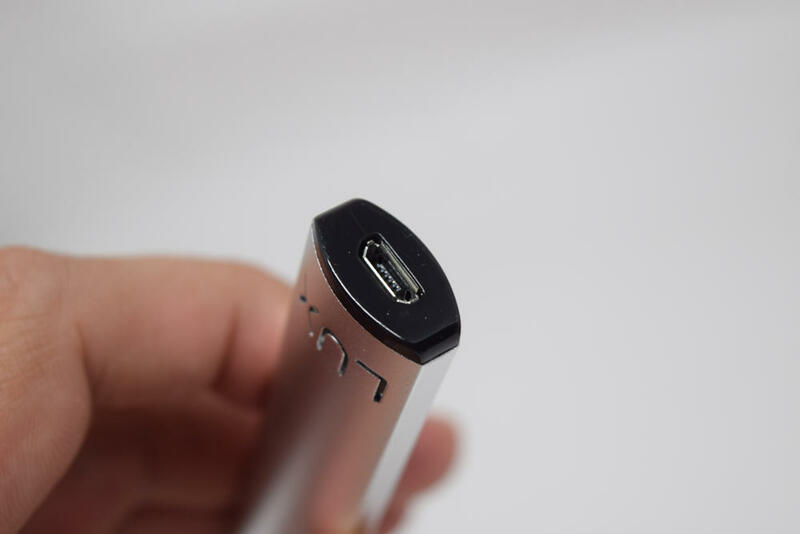 Infinix pods, for example, can hold 2 ml, and with this type of low power output vaping devices, 0.8 ml is a considerable difference. The built in ceramic coils have a resistance of 1.4Ω. The coil is concealed at the bottom of the vapor shaft that goes through the entire pod, and features 3 small wicking slots. At the bottom of the pods, we have to metallic contacts that connect to the contacts on the vape pen, as well as a small air slot. After you’ve filled one of the pods – preferably with 70VG/30PG or 60VG/40PG e-liquid – place the mouthpiece over the pod and attach it to the Lux vape pen. 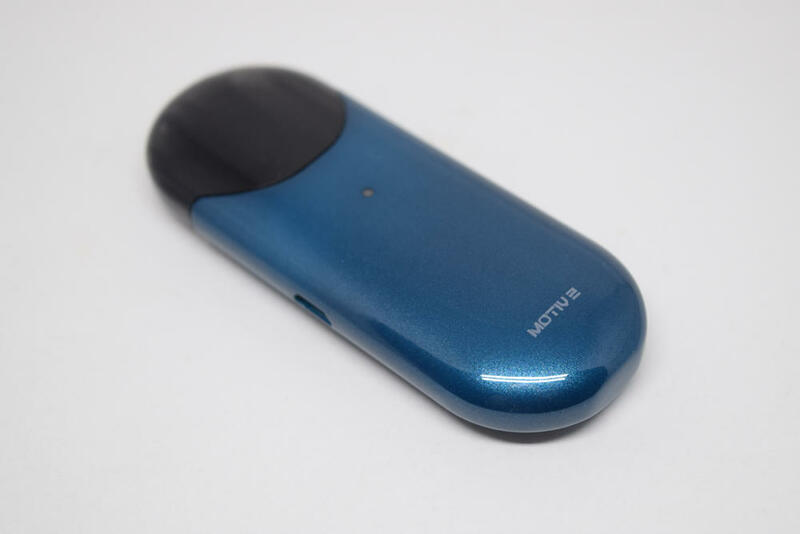 Once the metal contacts are connected, you will see the LED indicator on the pod system flash a turquoise color. That means that the device is ready for use. Wellon claims that the Lux vape pen has a battery capacity of 450 mAh, which would be fantastic for its size and weight, but it doesn’t really make much sense. From experience, I can tell you that this device probably has a battery of around 250 mAh, maybe a bit more than that, but definitely not 450 mAh. It’s just too slim and light, so unless Wellon created a new type of battery technology, their claim is just unrealistic. I don’t have the tools or the knowledge to properly test the battery capacity of the Lux battery, but even real-life use indicates that it’s nowhere near 450 mAh. 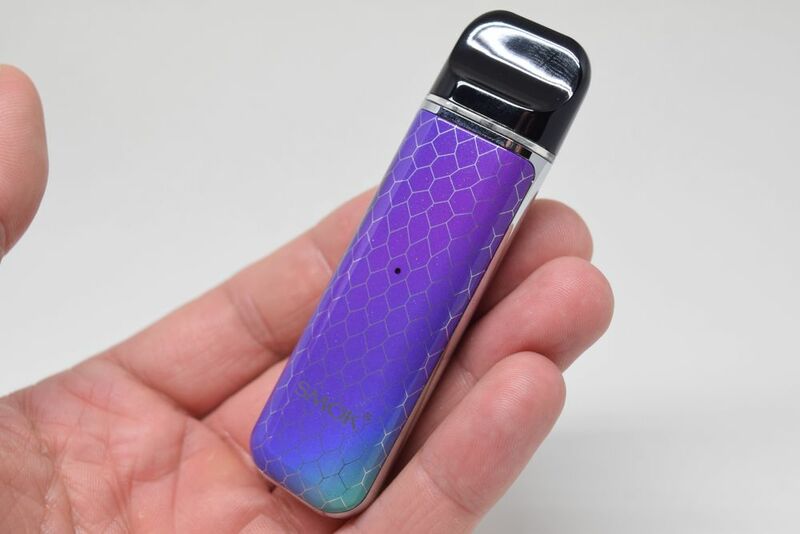 I would get around 5 hours of exclusive use out of this vape pen, but from the Suorin Vagon or the Wismec Motiv 2, pod systems with true 450 – 500 mAh batteries, I got almost a full day of use on a single charge. 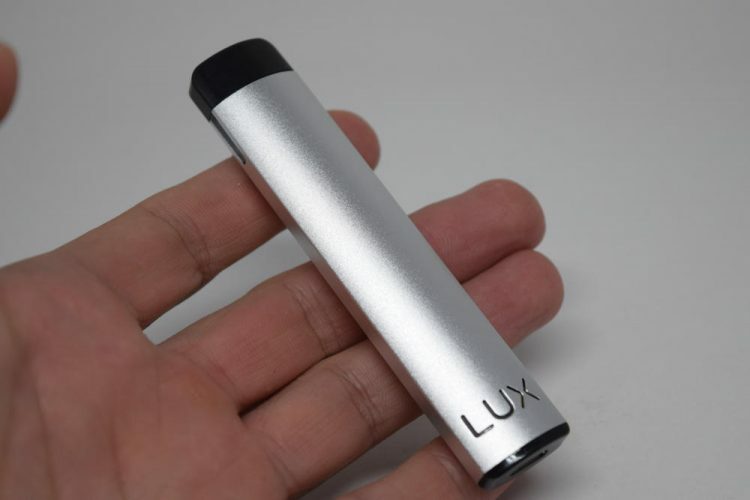 The good news is that the Lux does have vape-while-charging capability, so you can actually use it while it’s hooked up to a power source. It doesn’t have fast charging though, so it takes about an hour and a half for a fully depleted battery to recharge. 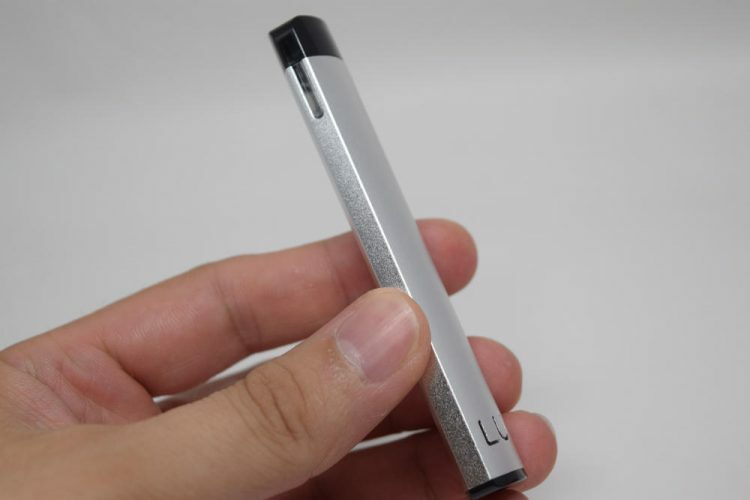 The LED indicator on the vape pen will let you know how much battery life you have left. If it lights up green, you have 100% – 60% battery, a blue light means you have 59% – 20% battery life, white is for 19% – 0%, and when the LED starts to blink red and the device won’t fire anymore. The Wellon Lux has a draw-activated switch, so all you have to do is attach a pod and draw on the mouthpiece to activate the battery. There are no buttons or on/off switches. This technology is very convenient for fresh ex-smokers looking for an experience reminiscent of smoking, but in this case, the implementation isn’t perfect. The Lux suffers from a flaw that takes me back to my early vaping days, when automatic cigalikes ruled the industry. They worked fine most of the time, but they were prone to accidental activation. For example, in strong winds, or if you blew on the other end of the device, the battery would turn on, and it’s the same with the Lux. If you accidentally draw or blow on the other end of the vape pen, where the micro-USB port is located, it will fire. Now, if you have enough juice in your pod, nothing bad is going to happen, but it still shouldn’t do that. Maybe they could have placed the USB port on the side to avoid this risk. In normal conditions, the Wellon Lux works pretty well. I was unable to find any information about the voltage range of this device, but what I can tell you it that it hits pretty well, creating a decent amount of warm vapor. It’s definitely more powerful than the JUUL, and produces a lot more vapor. Flavor is ok too, nothing to write home about, but then again, this really isn’t my kind of device. I’ve been using high-power advanced mods for years now, and I tend to compare this type of devices to them, even though it’s not a fair comparison. vape pens are aimed at beginners and intermediate vapers looking for a light, portable alternative to smoking, so they’re not designed to deliver the best vaping experience possible. The draw on the Lux is kind of in the middle. I would say that the JUUL has an even tighter draw, but the Wismec Motiv 2 is a lot airier. It’s definitely a mouth-to-lung type of vape reminiscent of smoking tobacco cigarettes, it’s just not the tightest draw I’ve ever had. I’ve had no issues with leaking, which is always a plus, and apart from the accidental activation I mentioned before, the Lux has been performing as advertised. The Wellon Lux is a decent pod system that’s both easy to use and convenient. 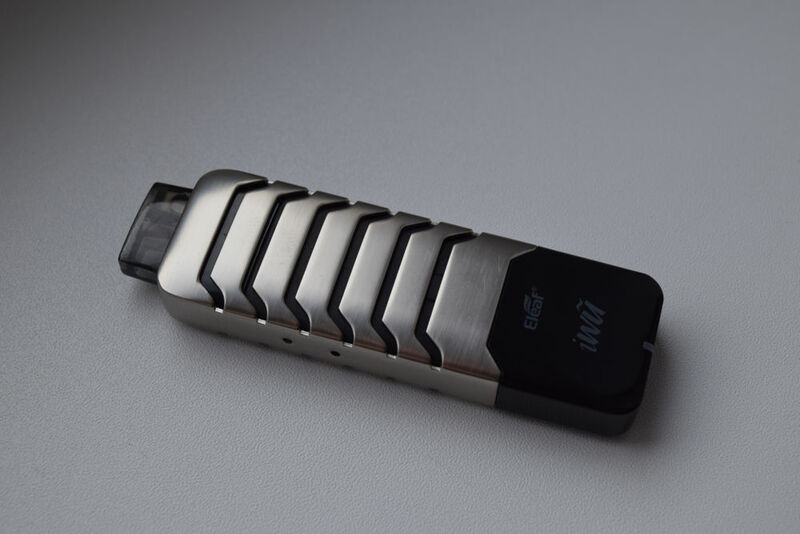 It does have some issues, like the dubious 450 mAh battery rating and the accidental activation of the battery in certain situations, but overall I would say that it’s a cheaper alternative to the popular JUUL. It comes with two refillable pods, so you can use your own juice, and that alone should save you a lot of money in the long run. 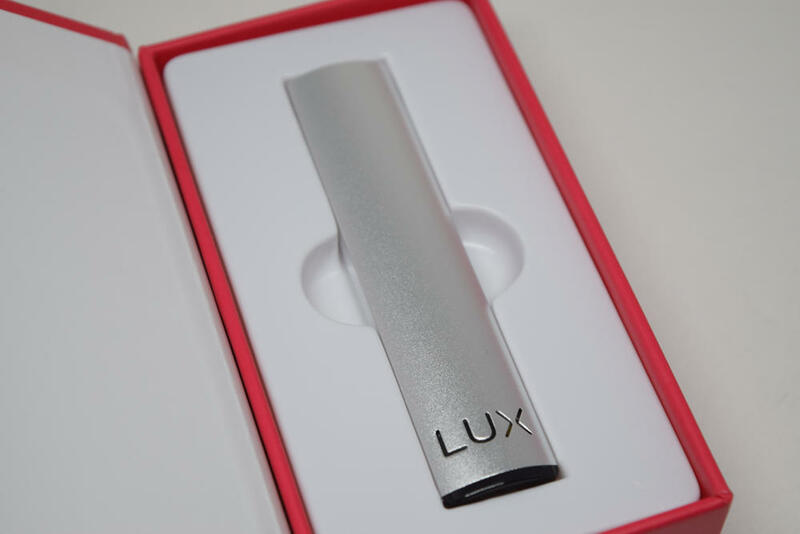 The Lux vape pen was sent to me directly by Wellon, for the purpose of this review. Don’t get the black one. I tried smoking the usb part twice on accident and it got really hott and burned out. My vape keeps blinking when I try to charge it, and it won’t let me hit it… what do I do ?